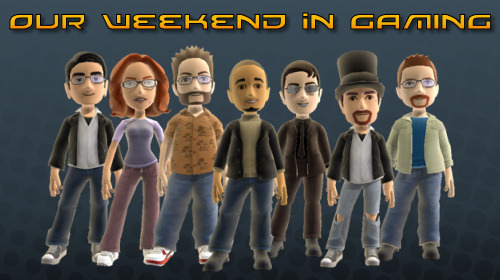 Co-Optimus - News - Our Weekend in Gaming - Where'd Everybody Go? Our Weekend in Gaming - Where'd Everybody Go? Only a few staff reporting in this week, but I'm sure we're all gonna game away this weekend. Nick "bapenguin" Puleo - "I'd like to finish Assassin's Creed 2, then probably some Left 4 Dead 2 and Dragon Age Origins. Perhaps some Serious Sam HD as well." Marc "DjinniMan" Allie - "All I want this weekend is to play some more Left 4 Dead 2. Everything else is just gravy." Mike "pheriannath" Katsufrakis - "This weekend begins a "top secret" project, so gaming time might be a little slim. However, I've gotten the Crackdown itch again so I will likely bust some punks in spectacular fashion." Katrina "ShadokatRegn" Pawlowski - "Weekend of sequels with Fable 2 and Left 4 Dead 2." What are your gaming plans for this weekend? If you're looking for someone to play with, try out meetup forums. Page created in 0.7232 seconds.